The third time, as they say, is the charm. The third time, as they say, is the charm. We went out East in September and bought a serious pig cooker. Serious. We weren’t messing around. The 400 tickets sold in record time. And I bet we could’ve sold 1000 tickets easily; but that was our maximum number unless we changed locations. And that was out of the question. People drove all the way down from DC and up from Atlanta to join the party. 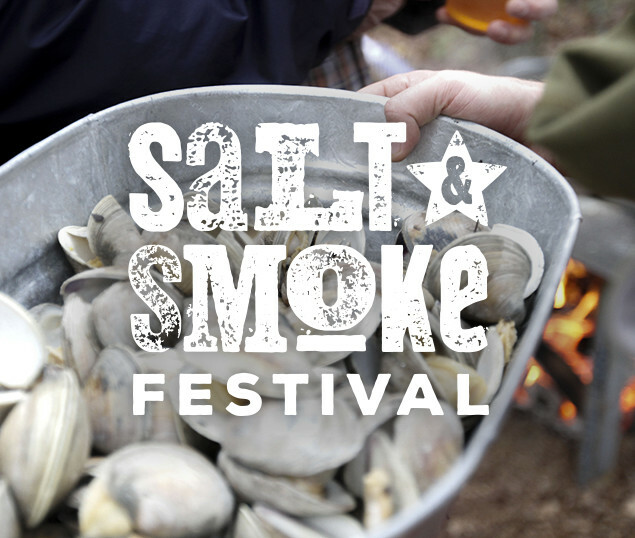 The Salt & Smoke Festival really hit its stride that Sunday afternoon. It was a great day. The rain held off and people lined up to take selfies with the cooked pig. The oysters were perfect. And people danced in the barn all night long. It really felt like a tradition, like something strong and familiar. And that was our plan all along.